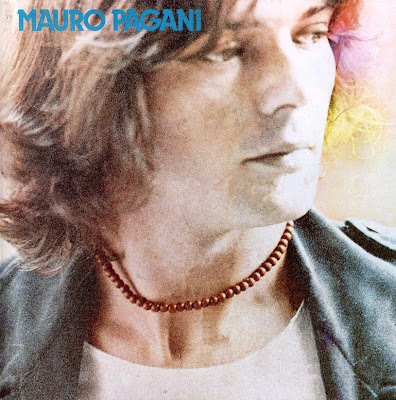 Very popular artist in Italy, both as a solo artist and as session musician, Mauro Pagani had a good solo career after leaving Premiata Forneria Marconi in 1976, tired of the long hard work on the road. His love for the world music strongly emerged in his 1978 first album, simply entitled Mauro Pagani, featuring many of the best italian musicians of that time, among which Area's members Demetrio Stratos, Patrizio Fariselli, Giulio Capiozzo and Ares Tavolazzi, PFM's old cohorts Franco Mussida, Patrick Djivas and Franz Di Cioccio, singer Teresa De Sio. The album is very far from his old band's works, with strong oriental folklore influences, but definitely a very good one. In 1980 Pagani took part in the Carnascialia project, a new group formed by Pasquale Minieri and Giorgio Vivaldi (both also involved in the 1978 solo album) to revive the traditional central and southern Italy folk sounds they had already rearranged as Canzoniere del Lazio. In the same field was the first and only album by Alia Musica, that Pagani had produced in 1979. Second album came in 1981, Sogno di una notte d'estate was first intended as soundtrack to a theatre play by Gabriele Salvatores. This later became a film, and a new soundtrack was released in 1983, with the same title. Also in 1981 Mauro began a long collaboration with popular singer songwriter Fabrizio De André, and in 1984 they released what many consider one of the best De André albums (and among the best italian albums of the decade), Creuza de mä. In the 80's he's mainly worked as session musician with many popular italian artists, among which Ornella Vanoni, Roberto Vecchioni and Gianna Nannini, releasing his third proper solo album in 1991. Other soundtracks followed in the 90's, again for Salvatores movies, Puerto Escondido in 1992 and Nirvana in 1997. In 1999 Pagani has rejoined PFM for a single concert in Milan, as he did again in the summer of 2003.